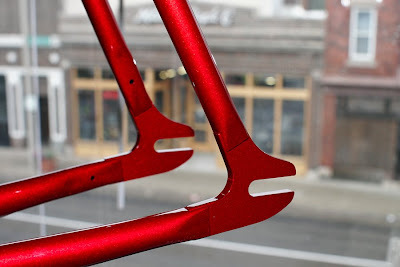 Milwaukee is hooking me up with one of the new production MKE Bruiser frames. It has a flecked silver base with a deep red clear coat on top. Are you kidding me? So gorgeous... they are really outdoing themselves with the custom paint jobs now. Huge thanks to Drew and the rest of the Milwaukee crew, as always! 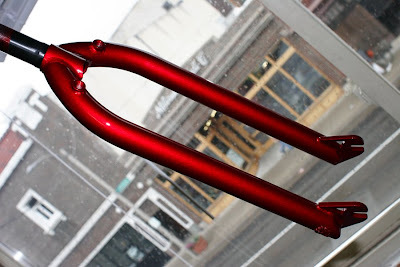 Prolly has a new Bruiser frame on the way as well... check it out here. shiiit that thing looks sooo good.